Any closer shots? That bike looks great. It's a '71 Paramount found at our local co-op. 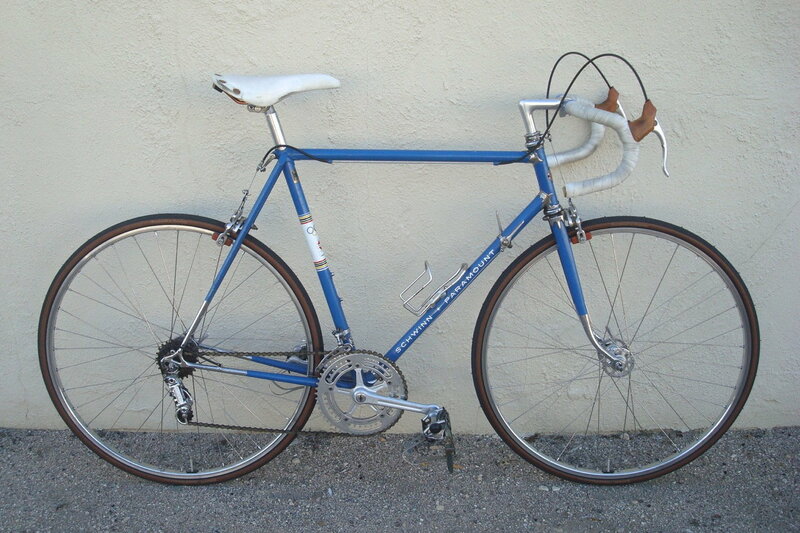 At some point bottle braze-ons and a new brake bridge were added, along with an unusual shade of blue and a weird little hole in the head tube.